A year after its debut on Steam Early Access, the survival adventure game Kona from Parabole is available since Friday on PC, PS4 and Xbox One. 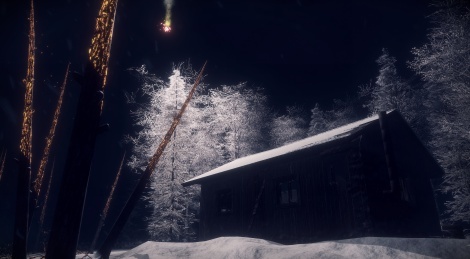 As Dectective Carl Faubert, you explore a frigid '70s Northern Canadian environment and investigate the unsettling quietness of the rural town. Screens and launch trailer inside. Not really, and you spend a lot of time driving so certainly not a "walking" simulator XD. Nice! How are the driving physics? Quite good though the driving is very simple, you just move from one place to another but it is a nice addition to the game, far more than what you usually find in most indie games. There's a few puzzles and places to visit. I found it a little hard sometimes to know where I was supposed to go next as you can explore the different areas freely but overall it was a very interesting game, not perfect by any means but better than most indie games and certainly more interesting than all those walking simulators where you do nothing at all. At least here you get some real gameplay.